1. Redistricting Reform Public Hearing Set for September? 1. Lock your doors and hide your children! They're back! The Wisconsin Legislature will be in session (on the floor) next month for three entire days! (September 17-19) and committee hearings have already begun to be scheduled on a variety of issues. But, a check of this week's committee schedule reveals no sign of any public hearing for redistricting reform legislation -- Senate Bill 163 and Assembly Bill 185 (which are identical) -- despite the fact that hundreds of messages and phone calls to legislators, and dozens of letters to editors in newspapers called for such hearings in the week just passed. So no hearings in this last week of August. So when in September? Last week's unprecedented coordinated effort by Wisconsin newspapers all over the state urged public support for redistricting reform and -- at the very least -- for Senate Majority Leader Scott Fitzgerald (R-Juneau) and Assembly Speaker Robin Vos (R-Rochester) to "allow" their appointed chairs of the legislative committees with jurisdiction over the redistricting reform measures to schedule those hearings. But no word yet from those committee chairs -- State Senator Mary Lazich (R-New Berlin) and State Representative Tyler August (R-Lake Geneva) on when in September they are planning to hold hearings. This open letter from the editorial board of the Janesville Gazette to Lazich and August last week, says it all -- brilliantly and eloquently. 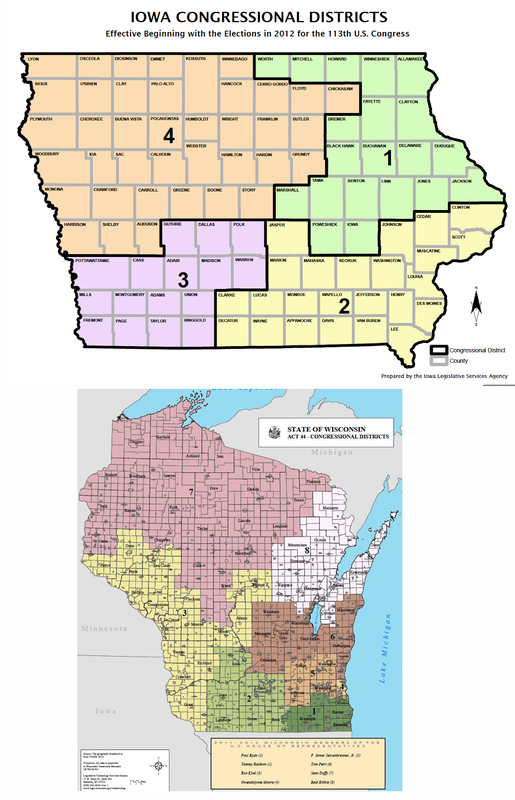 utilized in 2011 in Wisconsin and we are glad she even decided in that same article to make misguided and inaccurate attacks on Iowa's redistricting process -- which SB 163 and AB 185 emulate. Why? Because the citizens of Wisconsin deserve to have a public airing of all sides of this issue and learn as much as possible about where Wisconsin legislators stand on this matter. 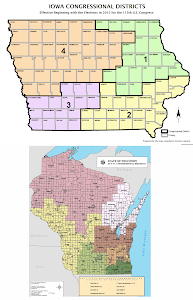 We also commend this defense of partisan redistricting mounted by partisan columnist Christian Schneider, who argues that Wisconsin has always had partisan redistricting. He says the Progressives did it, the Democrats did it, the Republicans did it (and presumably, even educated fleas did it). So let's continue to do it that way! We don't find Schneider's "it was ever thus and therefore should be thus for evermore" argument very compelling. Thank goodness Jonas Salk didn't feel that way about polio in the 1950's. But give Schneider credit for trying to defend the indefensible. There are others besides Lazich and Schneider who share their opinion. And neither of them argued against holding a public hearing on redistricting reform. So let's have a vigorous debate on this in a public hearing. Soon. September would be good. If you have not already done so, or even if you have and want to again, please contact both Senator Mary Lazich and State Representative Tyler August and respectfully request that they hold public hearings in September on AB 185/SB 163. Then, please contact both your own State Senator and State Representative and tell them to push hard for public hearings and to take a leadership position on redistricting reform. If you are not sure who your own legislators are, go here. To contact them, go here. on the wrong things. Lazich, one of the main architects of Wisconsin's extreme and restrictive 2011 photo voter ID law, has been busy preparing a number of measures to make it more difficult for more Wisconsinites to vote, to have fewer of our votes really count, and to weaken the Wisconsin Government Accountability Board that currently oversees Wisconsin elections -- but in a way that is not apparently partisan enough for Lazich. She has been joined in these efforts by State Senator Glenn Grothman (R-West Bend), who thinks early, in-person absentee voting in Wisconsin needs to be curtailed and that there ought to be less disclosure of information about campaign contributions available to Wisconsin voters, not more. Our friend and energetic and effective reform colleague, Andrea Kaminski, of the League of Women Voters of Wisconsin, has written two excellent "must read" columns about why the Lazich Proposals and the Grothman Proposals are so misguided. Please be sure to read them! 3. In June, CC/WI led the attack on a terrible piece of campaign finance and election legislation that, as introduced, would have put Wisconsin somewhere between Mississippi and Alabama in terms of voting rights and the ability of corporations to completely run our elections and public policy-making. Under withering criticism from CC/WI and from newspaper editorials, the authors of the measure -- Assembly Bill 225 -- drastically revised it and withdrew most of the most onerous provisions of the legislation. The full Assembly passed Assembly Bill 225 on June 12th on a voice vote but major concerns about the bill remain and must be addressed by the State Senate when it considers the legislation -- which it appears they may do this Fall. Our major concerns are explained in this column and you should be concerned as well. We will have more on this (and on everything else) soon! On Sunday, newspaper editorials from all over Wisconsin called on the Chairs of the two state legislative committees with jurisdiction over non-partisan redistricting legislation introduced several months ago, to hold public hearings on the much-needed and widely-supported reform measures. Currently, the committee chairs and their legislative leadership are intent on just "killing" the legislation and preventing the public from having the ability to weigh in on the measures. Both State Senator Mary Lazich (R-New Berlin), the Chair of the State Senate Committee on Elections and Urban Affairs and State Representative Tyler August (R-Lake Geneva), the Chair of the Assembly Committee on Government Operations and State Licensing have publicly stated their opposition to the redistricting reform legislation that Common Cause in Wisconsin helped to develop and strongly supports: Senate Bill 163 and Assembly Bill 185 (which are identical). We think they are wrong. But they are, of course, entitled to their opinion -- for whatever reasons. But will they continue to deny folks with a position that differs from their own even a public hearing on redistricting reform? It really does begs the question: What are Lazich and August fearful of? For that matter what is it that their legislative leaders -- State Senate Majority Leader Scott Fitzgerald (R-Juneau) and State Assembly Speaker Robin Vos (R-Rochester) are afraid of? A debate on the merits of their defense of the secret, hyper-partisan, rip-off-the-taxpayers, corrupted status quo gerrymandering that they jealously protect vs. a non-partisan, inexpensive, fair, open redistricting process that puts the interests of voters ahead of the narrow, selfish, partisan interests of incumbent legislators? And if they don't like the way we have characterized their position, then let's have a public airing of the issue! Mary Lazich, herself, made the case for why there ought to be public hearings on this issue with this impassioned defense of the current, hyper-partisan, expensive and secretive redistricting process that Wisconsin utilized in 2011. We did not find it compelling in the least and she used several misleading "facts" that compared the number of Iowa and Wisconsin competitive elections, but without mentioning that they were using totally different measures of competitiveness. It is like comparing grapes to grapefruit! (We will have more on this soon). Nevertheless, Lazich and presumably Fitzgerald, August and Vos feel very strongly about their position, so let's have public hearings -- air all points of view and let the people decide. If, indeed, that is the way democracy still works. 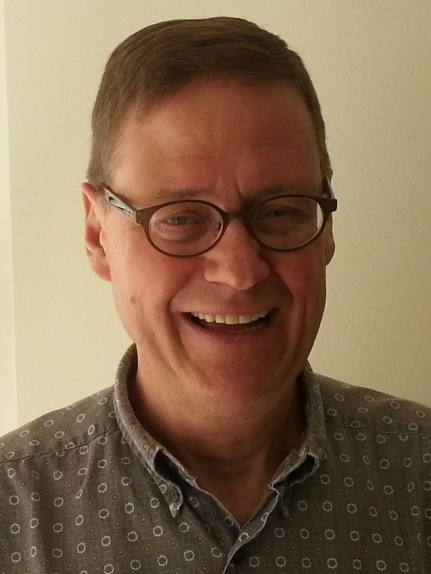 Today, Monday at 11:00 AM, CC/WI director Jay Heck joins Milwaukee Journal Sentinel Editorial Page Editor David Haynes for an online chat about redistricting reform and these latest developments. Now, here is where citizens must play a role in order to move redistricting reform forward. Please contact both Senator Mary Lazich and State Representative Tyler August and respectfully request that they hold public hearings on AB 185/SB 163. Then, please contact both your own State Senator and State Representative and tell them to push hard for public hearings and to take a leadership position on redistricting reform. If you are not sure who your own legislators are (which is understandable given all the partisan gerrymandering!) go here. To contact them, go here. This battle is just getting started and, as the Appleton Post Crescent said in their editorial Sunday, " . . . we're not going way. Redistricting reform is not going to be swept under the rug." Let's build on this momentum, and not waste this opportunity to make our voices heard. Act today. Seriously, what is a legitimate campaign expense? The last moderate: Will ‘passionate pragmatist’ Dale Schultz be driven out of the Wisconsin Senate?